permitting installation in most gas or dust hazardous areas. Commonly used in many industries world-wide, these bus-powered panel or field mounted single- and eight-variable indicators and display devices show operators process values in hazardous or non-hazardous areas. The versatile PROFIBUS PA displays have eleven selectable standard screen formats containing one, two, three, four or eight process variables, some with bargraphs, together with units of measurement and descriptions. Up to eight fieldbus variables may be viewed simultaneously on a single display screen. Front panel push buttons allow the operator to scroll between screens. Cost effective PROFIBUS PA indicators display up to eight fieldbus process variables on a bold five digit display and a 31 segment analogue bargraph. If required, the indicator address may be entered via the front panel push buttons eliminating the need for a PROFIBUS configurator. 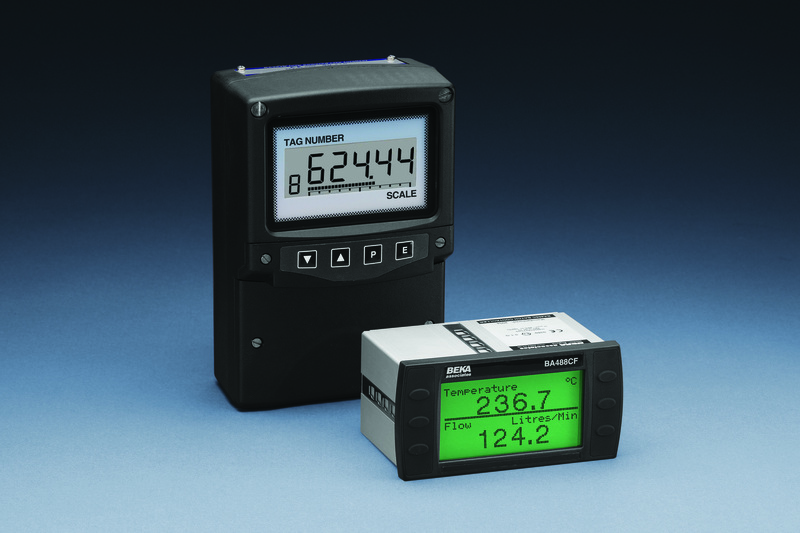 As with all BEKA products, these displays and indicators are supplied calibrated to customer requirements and have a three year guarantee. For customers wishing to evaluate a Profibus model, BEKA operate a free three month sale or return evaluation service.